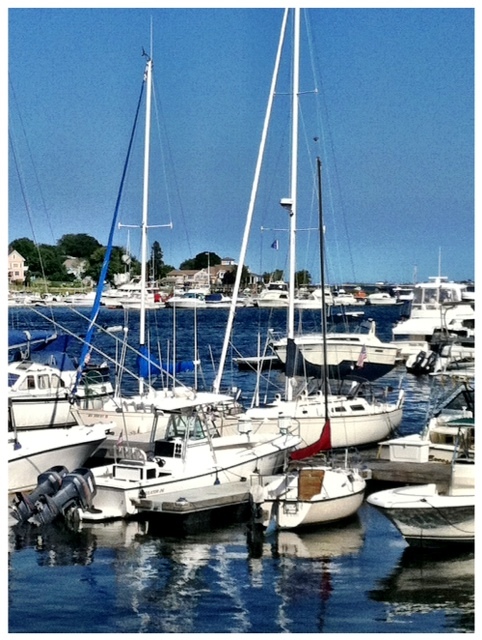 I’m really fortunate to live in a pretty little seaside city on the North Shore of Massachusetts. Newburyport is a place that people talk about taking a day trip to, yet I get to ‘day trip’ here every day. During any season Newburyport has views worth boasting about, but here are some of my favorites for late summer. There is boardwalk access right across the street from my house. The boardwalk runs along the river all the way into downtown, and this is the scenery along the way. Cider Hill Farm in Amesbury is just a short drive – or scooter ride – away. Once I get there I’m treated to the sight of their amazing flower arrangements. Makes me want to run home and tend to my garden. Sometimes I take a leisurely drive – or scooter ride – around the backroads of nearby Newbury. One of the ponds I go by is home to a pair of swans. 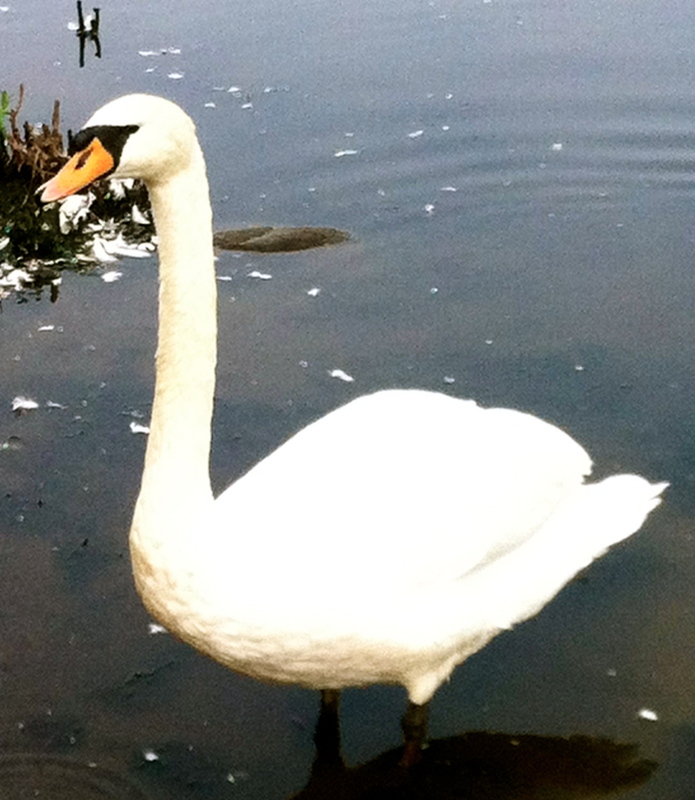 Not usually a swan fan – they can be really mean – but they are beautiful to observe. 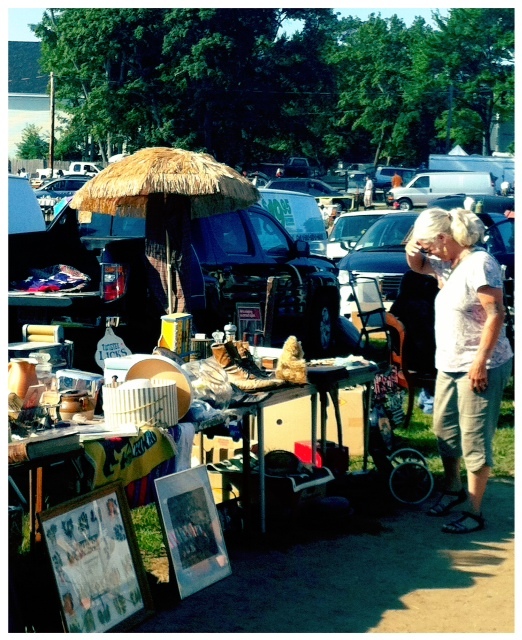 About a 20 minute drive on Sunday mornings brings me to the Todd Farm flea market. I just went for the first time this year and am kicking myself for not getting there sooner! So many vendors and deals to be made! 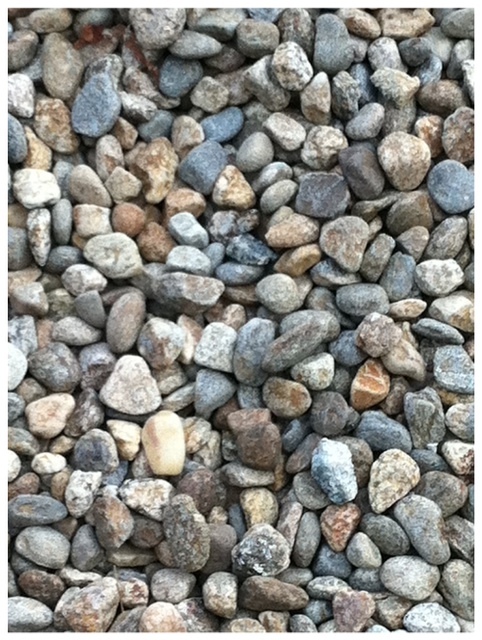 When I walk downtown I have a chance to appreciate the little things; like this pretty pile of rocks. 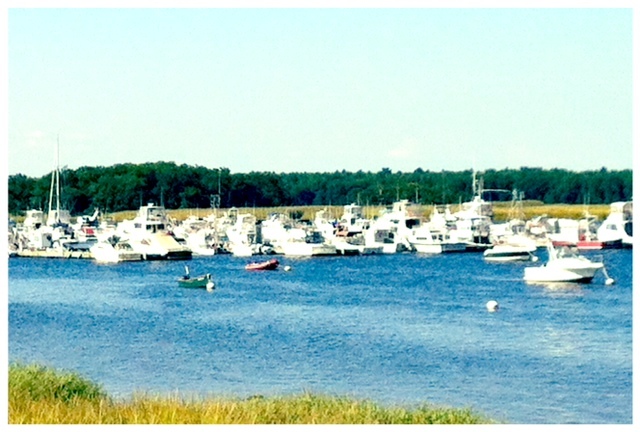 The Newburyport waterfront is busy and bustling all summer long. Boats of all shapes and sizes make this spot their temporary home in season. The ocean access is just about a half-mile away. Probably my favorite scene of all. 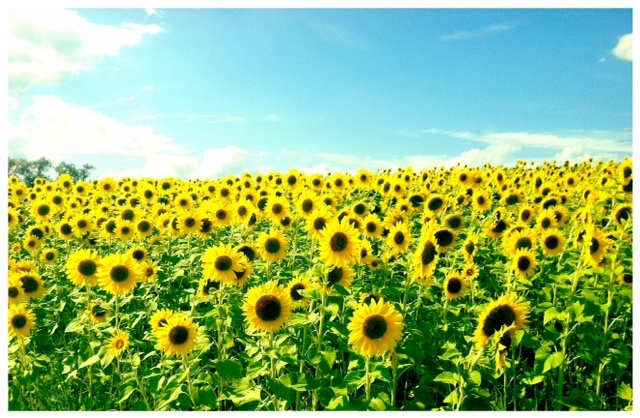 The Colby Farm sunflower field on Scotland Rd. is a photo-op magnet and with good reason. 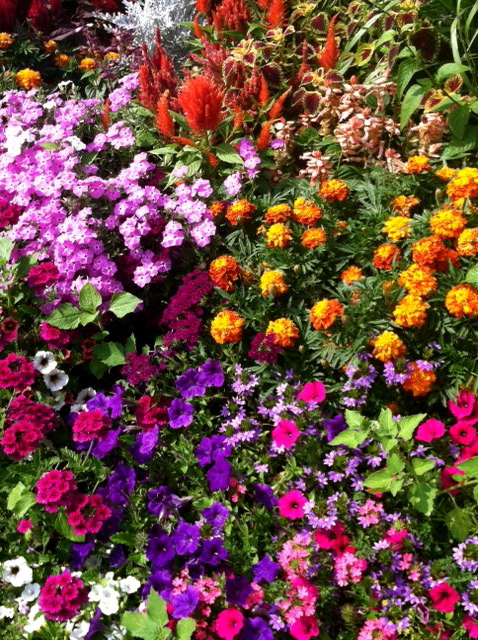 You can’t help but smile when you see them in all their glory!